This evening my brother and I headed over to Clapham to check out a restaurant that I have been wanting to try for a while now. 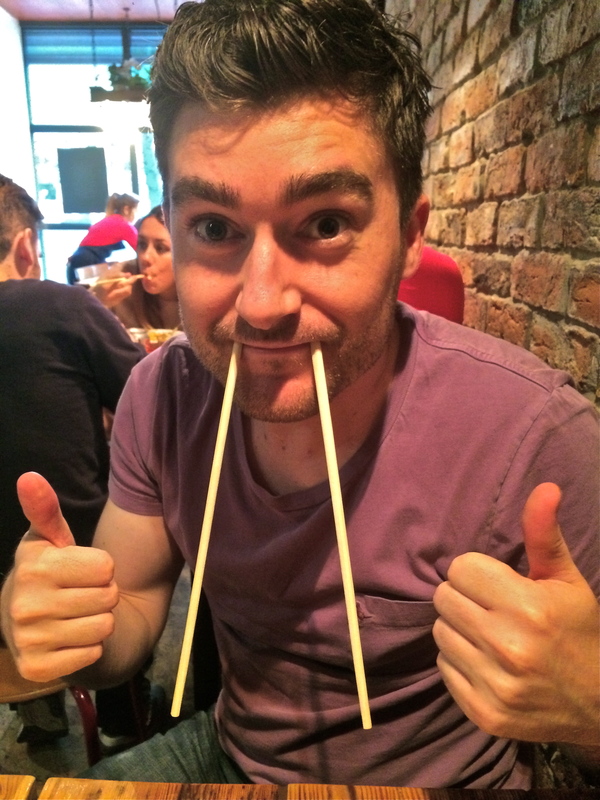 Asian cuisine is my absolute favourite, so this Chinese street food style restaurant sounded like a winner! 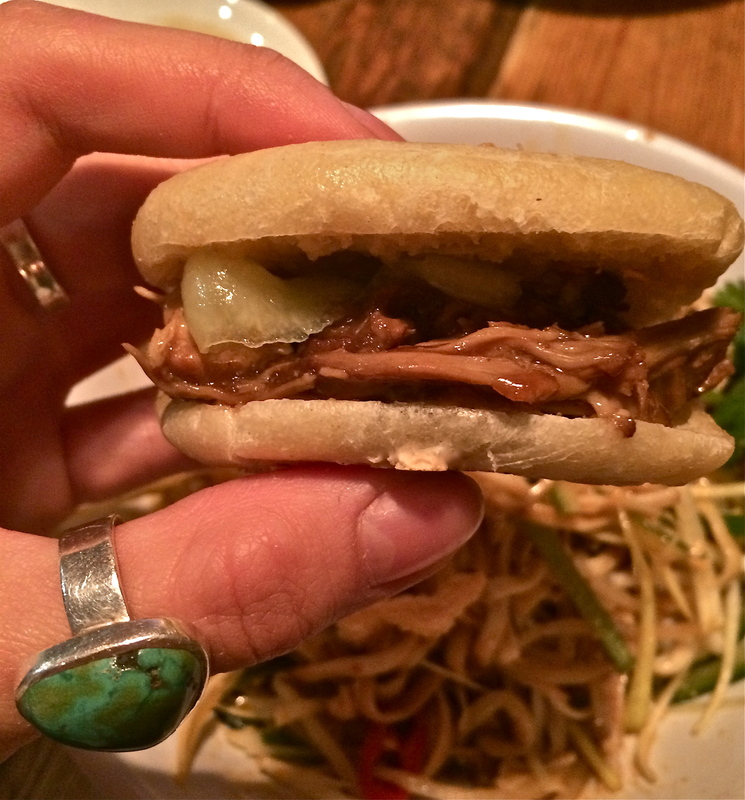 It’s called Mama Lan, and has one restaurant in Clapham Common, and another in Brixton Village. The Clapham branch was a tiny little place with only a few tables and bare brick walls, but it had a lovely cosy feel. The menu was only a small one, but in my opinion that is always a good sign. We ordered our drinks- I went for a lychee number that was lovely and refreshing. Lychees are one of my favourite fruits, so it was a no brainer when I saw it on the menu! I tried being sophisticated and leaving the fruit in the drink, but it was just begging to be eaten. I went for a spicy chicken noodle salad. Even though it was a salad, I wasn’t expecting it to be a cold dish, but it worked perfectly. It had lovely thick noodles in a spicy peanut sauce, topped with beansprouts, finely sliced cucumber and a tonne of crushed peanuts. Ross went for the beef noodle soup, which I think just about had the edge over mine. 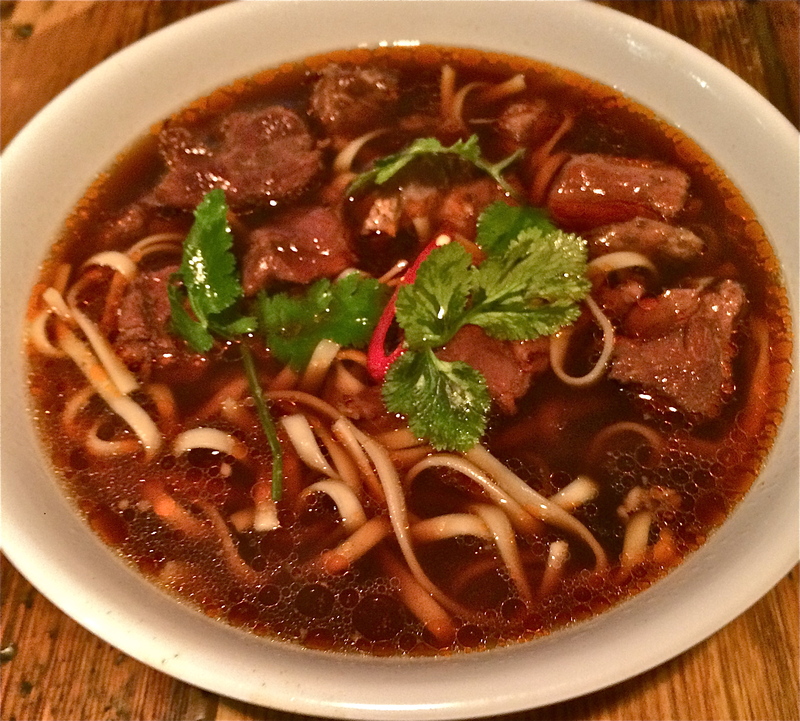 It was a hearty bowl of rich beef broth, noodles and beautifully tender hunks of beef. We tried some pork buns too, and these absolutely stole the show. The whole meal was so tasty and unlike what you might expect from a traditional ‘chinese’ meal. It was also incredibly good value too, which also makes everything seem to taste that little bit better! 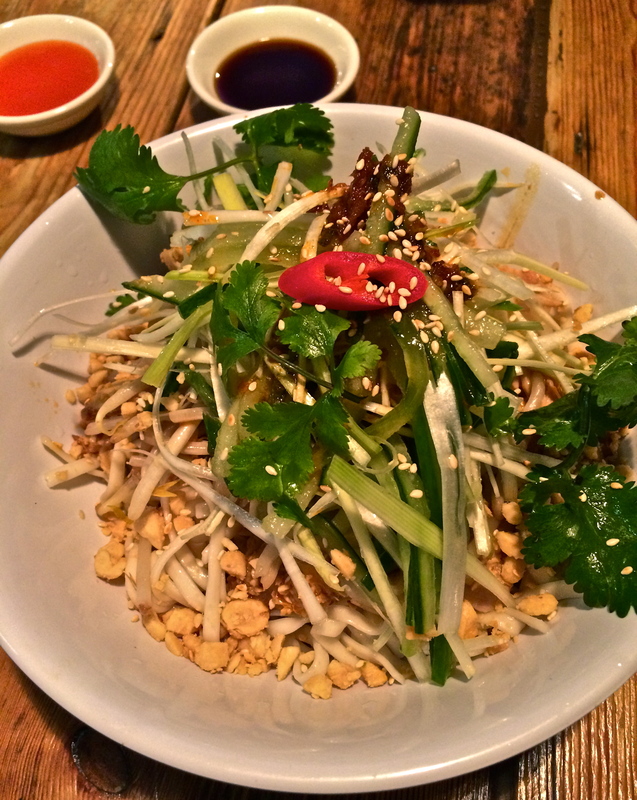 If you find yourself in Clapham or Brixton and are hungry for a chinese, definitely pop by Mama Lan’s. It got a double thumbs up from the big bro!